great collection of books. my one year old daughter loves them. 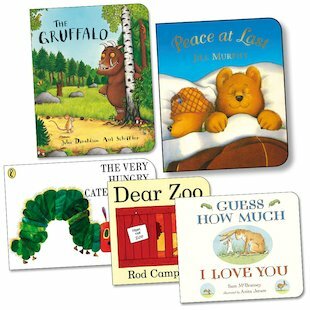 I love these books they are such good value and my baby loves them especially the hungry caterpillar which is a firm favourite of mine from my childhood. Great value for money too.